Let me start by saying that before this recipe, I really couldn’t have cared less about couscous. To my mind, it was something über-healthy people ate in lieu of pasta. And I am neither über-healthy nor willing to replace pasta with healthier whole grains. But friends! This recipe is amazing! Perfect! Probably one of my very favorite food52 recipes. 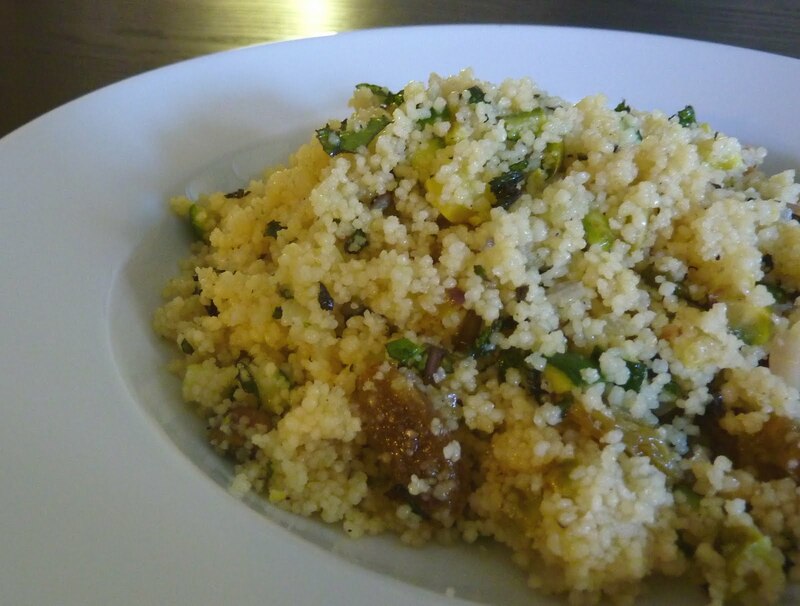 The couscous is cooked in stock, then tossed with quickly sauteed shallots, squash, and pistachios (isn’t that fun? cooked pistachios! ), fresh mint, and a lovely lemony vinaigrette. Many people have commented that this recipe adapts beautifully to variations (using just one kind of squash (and double the amount), almonds instead of pistachios, etc), but I think it’s just perfect the way it is. I think this makes a lovely side for roast salmon, or a chicken marinated in Greek yogurt with Indian spices. I hope you like it too! Next, bring the veggie stock to a boil in a medium saucepan. Stir in the couscous, cover, and turn off the heat; allow the couscous to sit for about 5 minutes, or until it absorbs all the liquid. Toss the couscous with a fork so the grains don’t start clumping together, pour into a large mixing bowl, and set aside. In a skillet over medium high heat, add about 2 tablespoons of olive oil. Then, add the chopped squash and zucchini, shallot, sultanas, pistachios and a pinch or two of salt. Only cook for about a minute or two — you still want the squash and zucchini to be al dente. This just ensures they aren’t too al dente, and all the flavors can marry before they hit the couscous. Set aside until everything reaches room temperature. 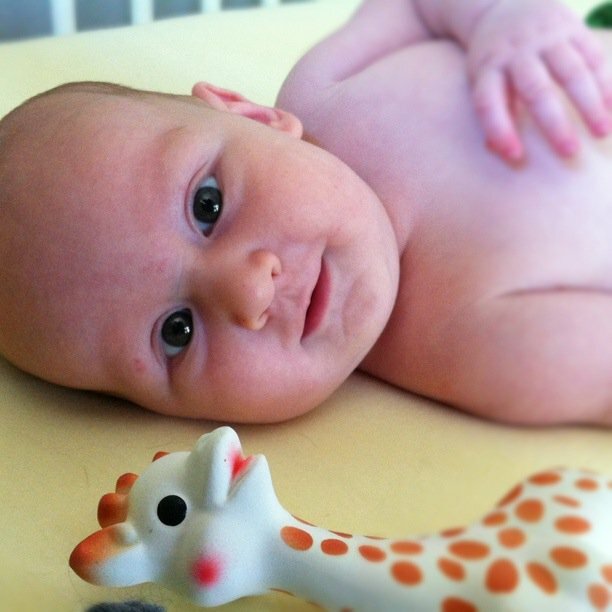 Apropos of nothing, a baby picture for you!